Members of the Unitarian Peacemaker Needleworkers group, from left, Pinkie Hoffmann, Marcia Bellinger, Joann Rosi, L.E. Smith and Kathy Prentice, inspect one-of-a-kind necklaces and bracelets, handmade by Ugandan women through the BeadforLife partnership. 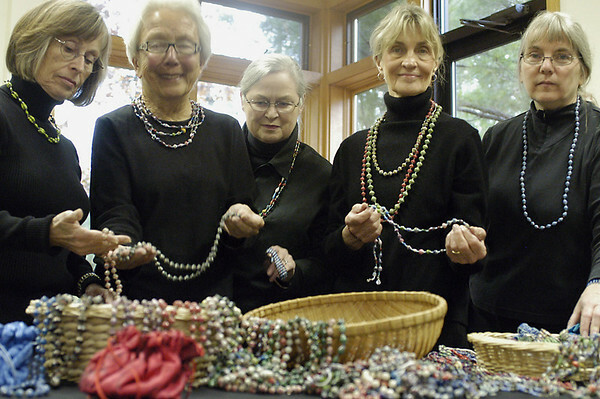 A sale of the jewelry will be held on Saturday at the Unitarian Universalist Congregation.